Ground up MSW is delivered into the top of the vessel via an inclined conveyor. The vessel contains a caustic solution (i.e. Caustic Soda, Caustic Potash, or Slaked Lime). A large stirring mechanism in the vessel helps dissolve the organic or bio-materials (i.e. paper, cardboard, wood, food waste, non-synthetic fibers/fabrics, grass clippings, etc.) into the caustic solution. To speed up the digestion process, waste heat recovered from the downstream process is applied in this step. Lighter materials are skimmed off the top of the liquid in the BSV with a drag chain convenor and sent to the BCF process which mixes, dries, shreds and compresses the waste into solid fuel (briquettes, pellets or granules). 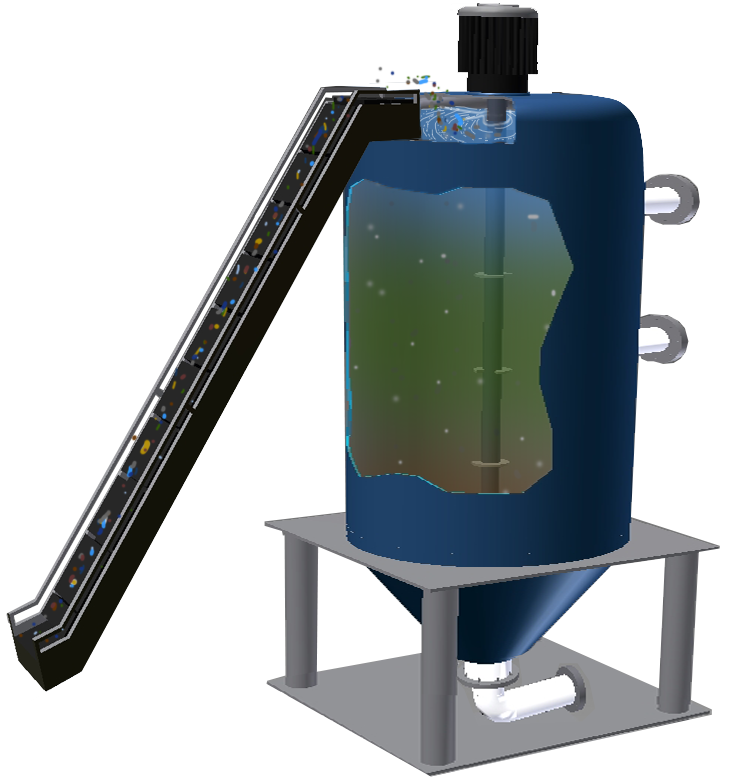 Wet caustic solution from the center of the BSV is sent to BFR process where it is a feedstock to be converted into Hydrogen. The remaining heavy materials in the bottom of the BSV are pulled out with another drag chain convenor. Metals recovered from the tank are recycled and any left over glass or pebbles are donated.